The Sabino Canyon Volunteer Naturalists (SCVN) training includes many topics important to Sabino Canyon and the Santa Catalina Mountains in southern Arizona. One of the topics is the study of Earth’s history. Over time, the region has undergone geological changes that have made the canyon what it is today. Yesterday, I observed fifth-graders participating in the SCVN activity, “Strike It Rich,” conducted by naturalist, Gwen Swanson. 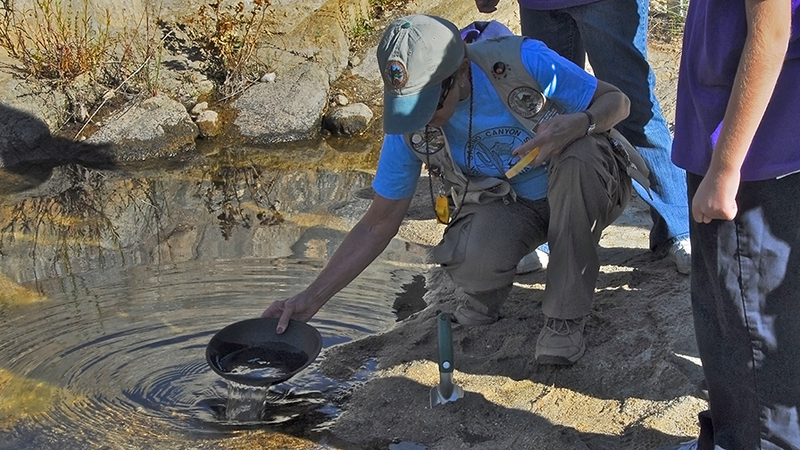 The creekside activity allows children to learn about difference between rocks and minerals by panning for garnets and magnetite in the sand, and the importance of water in forming the canyon.